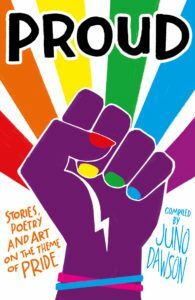 Amazing events with the Proud team – Bounce Sales & Marketing Ltd.
Read with pride and celebrate LGBTQ+ fiction for teens with an anthology of authors and artists sharing work on the theme of ‘pride’ in Proud. Authors involved include: Juno Dawson, Dean Atta, Fox Benwell, Caroline Bird, Tanya Byrne, Moīra Fowley-Doyle, Simon James Green, Jess Vallance, Michael Lee Richardson, Kay Staples, Cynthia So and Karen Lawler. Host a book club and hear from authors on writing Queer characters. 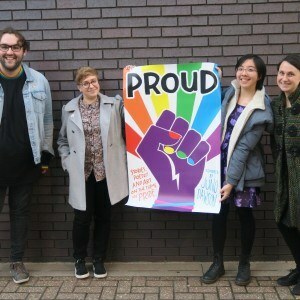 Have a discussion with contributors and readers about LGBTQ+ YA, create a Proud pride banner and host a Stonewall Equali-tea party to raise money for LGBTQ+ charities (https://www.stonewall.org.uk/get-involved/get-involved-fundraise-us/hold-equali-tea). If authors are unable to attend on your specified date, Stripes can support with authorless event suggestions. Perfect for supporting local LGBTQ+ pride events. If hosting a Proud pride banner party, supply arts and crafts materials, cardboard, glue, glitter, marker pens, rainbow colours.